A heavy police presence sets up outside a home in the 200 block of Port Drive in Hixson. A vehicle parked in a driveway matches the description of one that hit and killed a Chattanooga police officer before fleeing the scene. Photo by Rosana Hughes /Times Free Press. Chattanooga police located a vehicle matching the description of the one involved in Saturday night's deadly hit-and-run that killed Chattanooga police officer Nicholas Galinger. Galinger, 38, was struck by a car late Saturday while he was inspecting a manhole cover that had water flowing from it in the 2900 block of Hamill Road just after 11 p.m. The driver fled the scene. After compiling a list of all active 2017 and 2018 Honda CR-V registrations within the state, investigators found a white Honda CR-V parked in the driveway of a home in the 200 block of Port Drive in Hixson, Chattanooga police Chief David Roddy said during a news conference Sunday evening. The vehicle had extensive front-end damage to the hood and a severely cracked windshield. Investigators knocked on the door of the home, but no one answered. 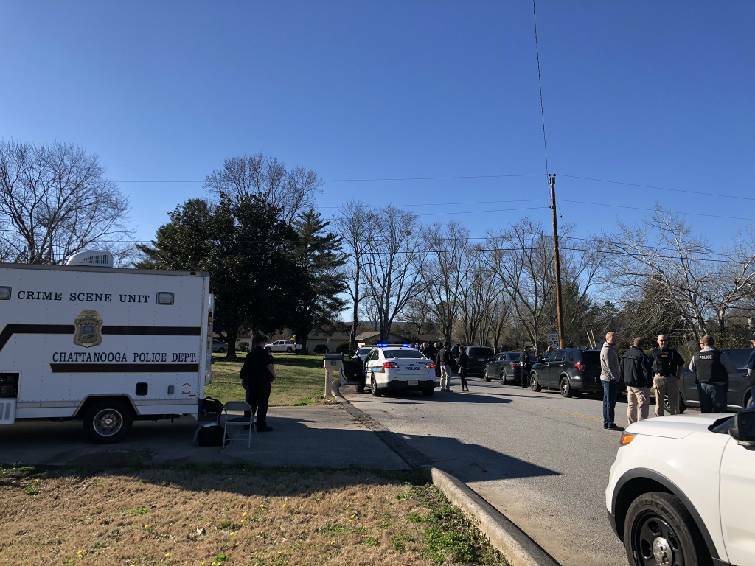 They believed no one was home at the time, though they had been attempting to establish contact with the people connected to the address and the vehicle. In the meantime, police worked to obtain warrants for the house and to seize the vehicle to collect any evidence, such as fingerprints and any DNA. Around 7 p.m., a large covered trailer was seen pulling into blocked off area to remove the damaged vehicle. Police hadn't named a suspect but did say a woman who owned the house and the vehicle was a person of interest. However, they hadn't established whether she was the one driving the vehicle at the time it hit Galinger.